Siemens Healthineers has announced that the new Biograph Vision positron emission tomography/computed tomography (PET/CT) system has been installed at the Hospital of the University of Pennsylvania (HUP) in Philadelphia – the first health care institution in the United States to install the technology. The Biograph Vision possesses new Optiso UDR detector technology that is based on 3.2 x 3.2 mm lutetium oxyorthosilicate (LSO) crystal elements and digital silicon photomultipliers (SiPMs). With this technology, the Biograph Vision delivers higher spatial resolution while achieving the industry’s fastest time-of-flight, with a temporal resolution of 214 picoseconds, as well as an effective sensitivity of 100 cps/kBq.¹ For these reasons, the Biograph Vision helps to reduce scan time to as low as 3 minutes per patient to improve throughput, reduce patient radiation exposure, and cut tracer cost. The 78-cm bore aids in patient positioning and can help ensure patient comfort. The Biograph Vision also has optional features aimed at improving patient care. OncoFreeze provides PET/CT images that are virtually free of motion in the same period as a regular whole-body scan. CardioFreeze takes cardiac gating one step further, incorporating OncoFreeze technology to correct respiratory motion in the heart. FlowMotion Multiparametric Suite delivers images of standard uptake volume (SUV), metabolic glucose rate, and distribution volume. ¹ Compared to competitive information available at time of publication and internal measurements. Data on file. 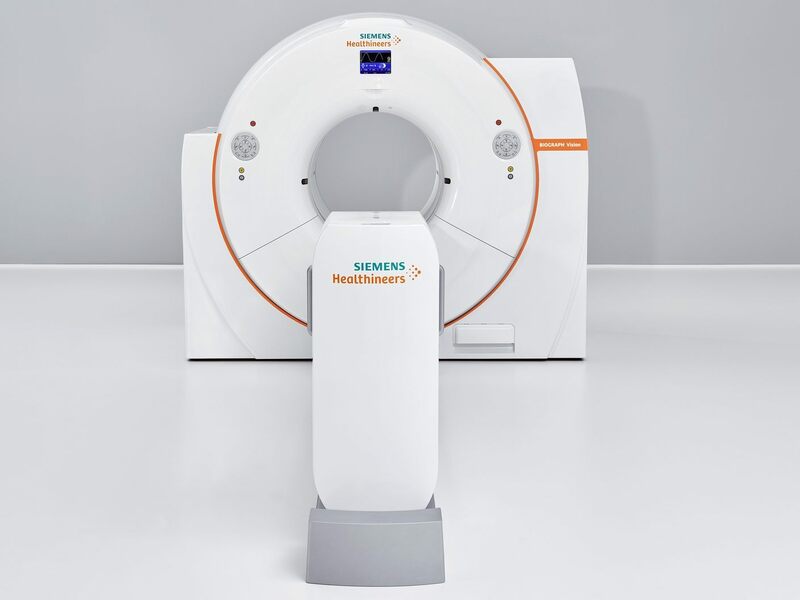 Siemens Healthineers installs first US Biograph Vision PET/CT system. Appl Rad Oncol.